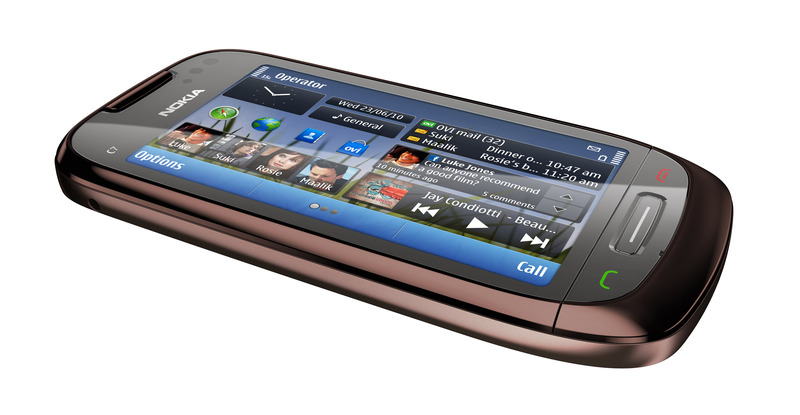 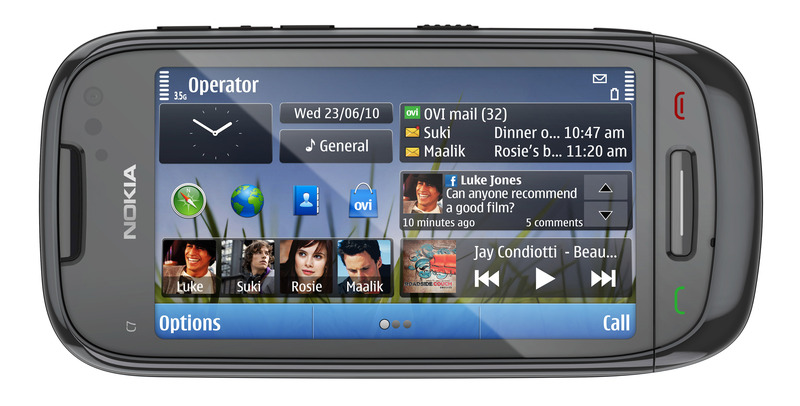 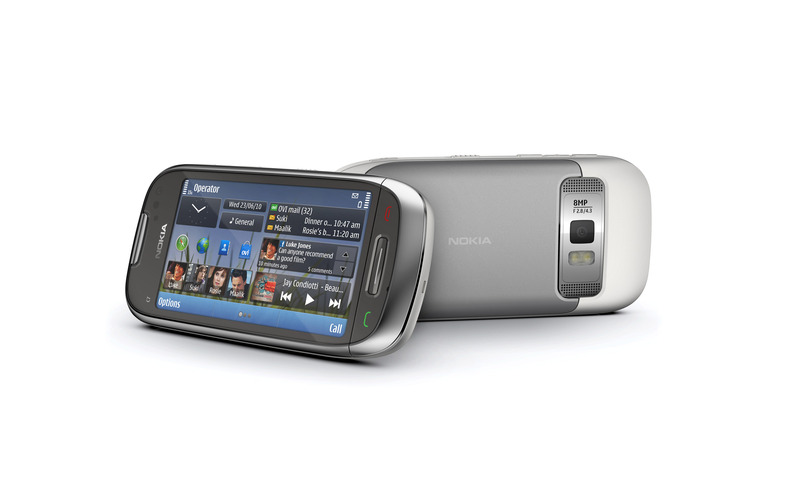 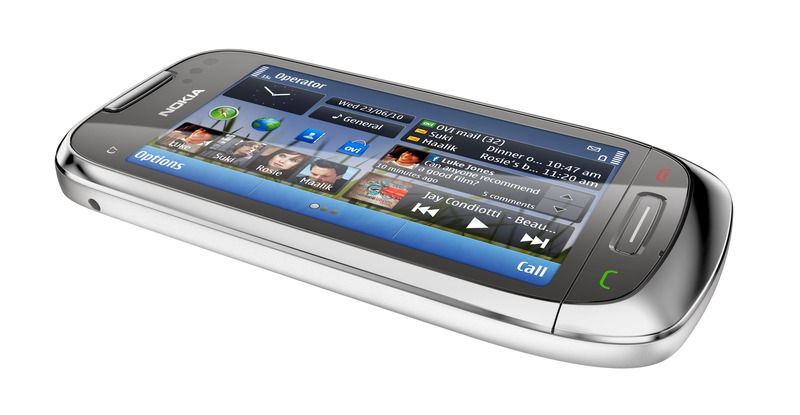 Announced at Nokia World 2010, the Nokia C7 Symbian^3 smartphone has started shipping to customers around the world. 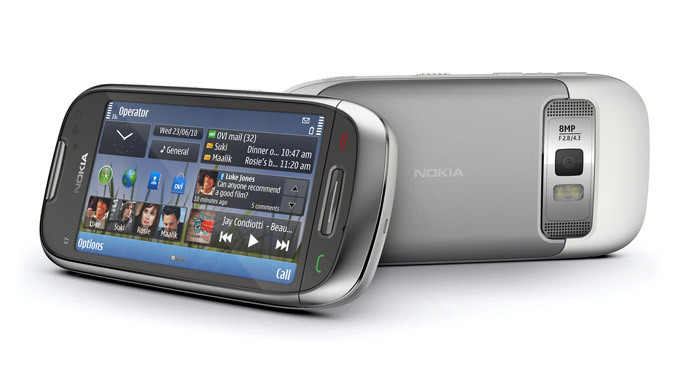 TheC7 is the second device from the Nokia based on the newSymbian^3 platform and offers 3.5 inch AMOLED (360 x 640 pixels) capacitive touchscreen in stainless steel and glass casing. 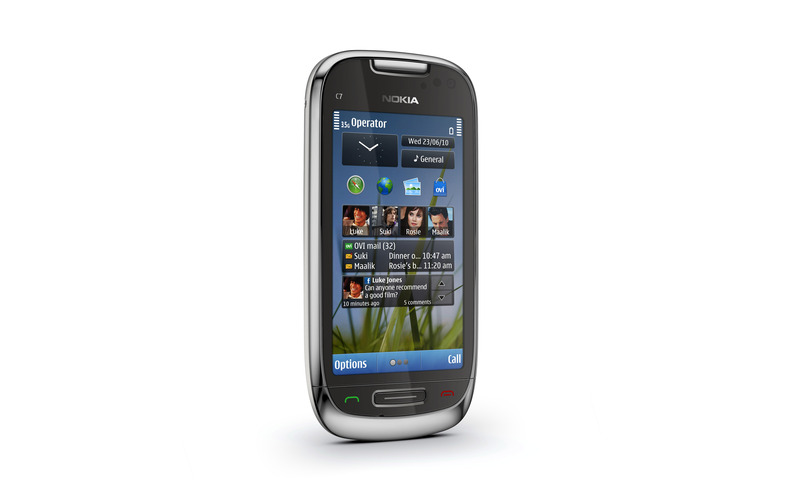 The smartphone measures 117.3 x 56.8 x 10.5 mm, weights 130 grams, has a 350MB built-in memory, HSDPA/HSUPA support, 802.11 b/g/n WiFi, Bluetooth 3.0, GPS,FM radio, micro USB connector, a microSD slot and a 8 megapixel camera with dual LED flash with 20p video recording capability. 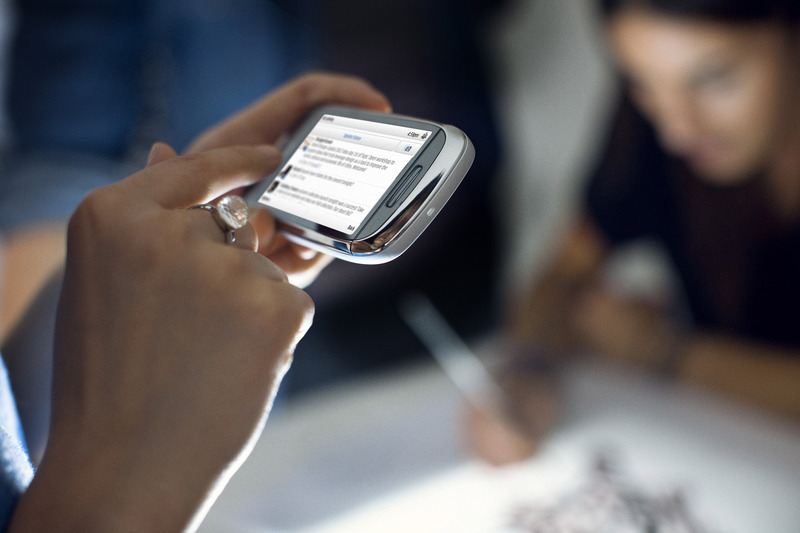 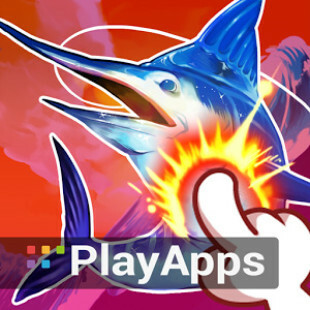 Announced as a “social-networking centric device”, the smartphone also feature easy access to the most popular social sites directly to the home screen, as well as one touch access to many email accounts. 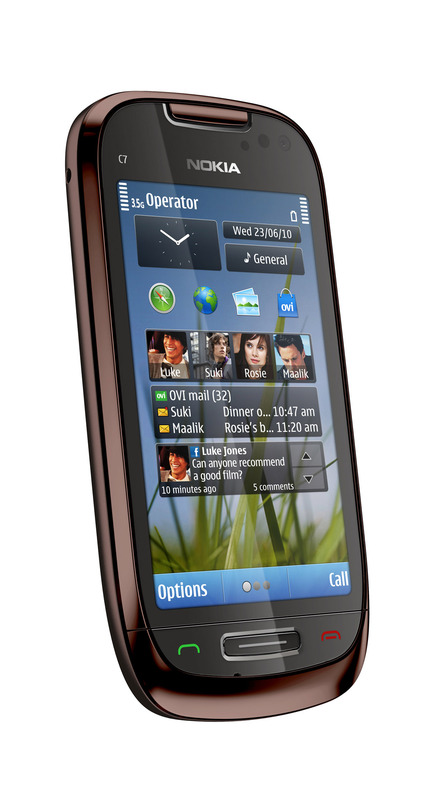 The C7 is available in Charcoal black, Mahogany brown and Frosty metal, and will costs €335 before applicable taxes or subsidies.